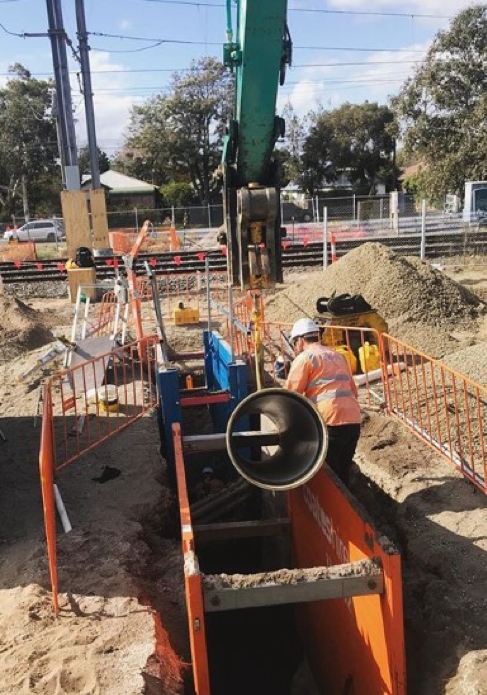 As part of the Seaford Road Level Crossing Removal, Adept Civil Group was contracted by Southern Program Alliance to complete the Water Main Relocation Works. The works involved removing the existing 450 MSCL and installing approximately 800m of PE. 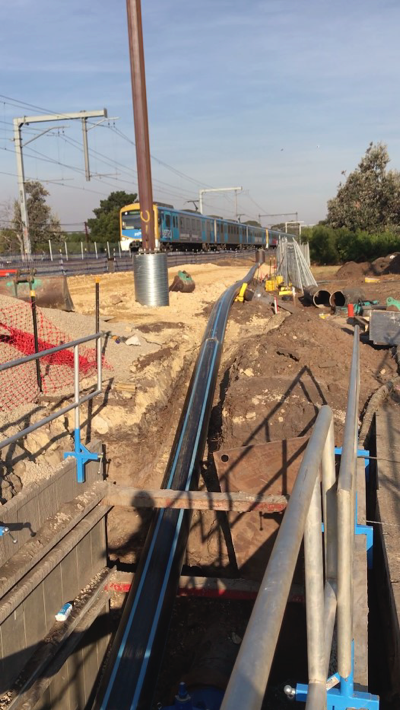 The laying of the pipe involved string-ing 2 x 250m and a 50m section and pulling the pipe with a directional drill parallel and under the rail tracks.